ANOTHER wedding invitation? 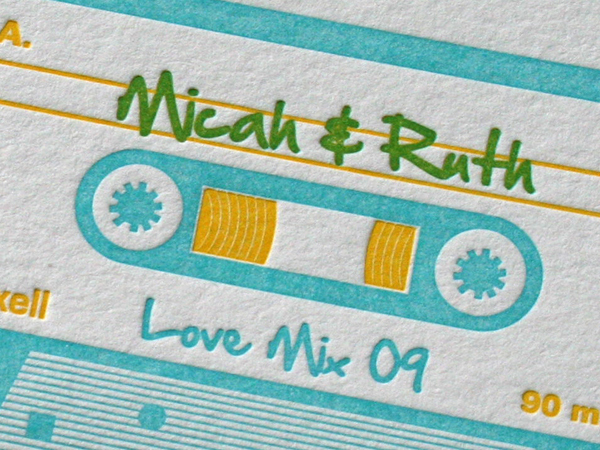 Yes I’ve gone all soft and gooey, but I don’t care because I just love this letterprerss wedding invite. Loooook! 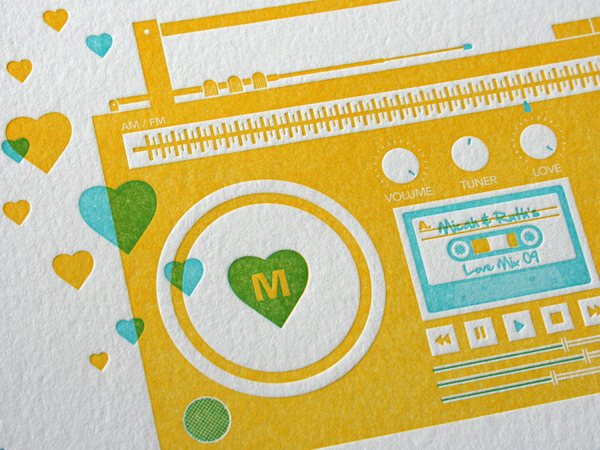 The couple’s initial’s are even in the speakers and the love dial’s turned up to max! 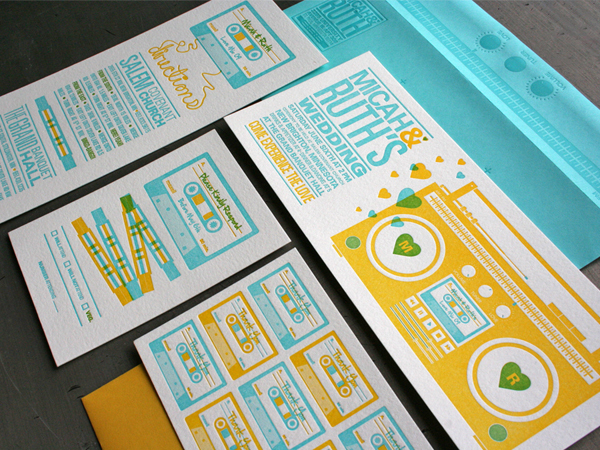 A certain Clare (deejay) Wells should take a serious look at these for her big day next year. Clare, here’s the link for more pics and details. Everyone else, engagements drinks in The Cork on Friday night folks!